Pearl Flakes in a transparent base. 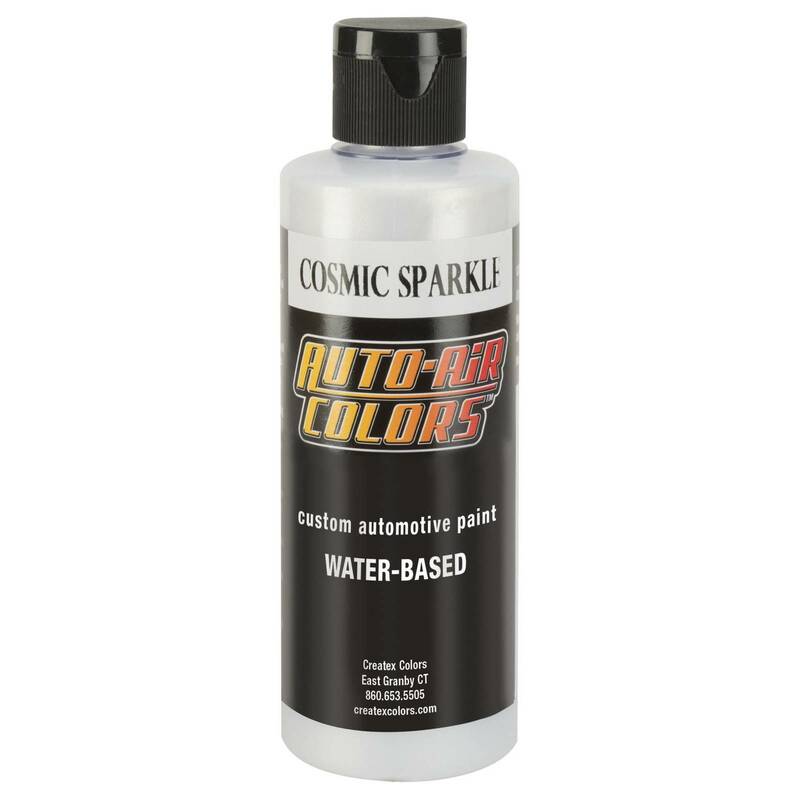 Apply as a pearl mid-coat over a base color or directly mix with other Auto-Air Colors to create unique custom color creations. Hot Rod Sparkle are large pearl-flakes, Cosmic Sparkle are smaller pearl-flakes which are the same found in many O.E.M. 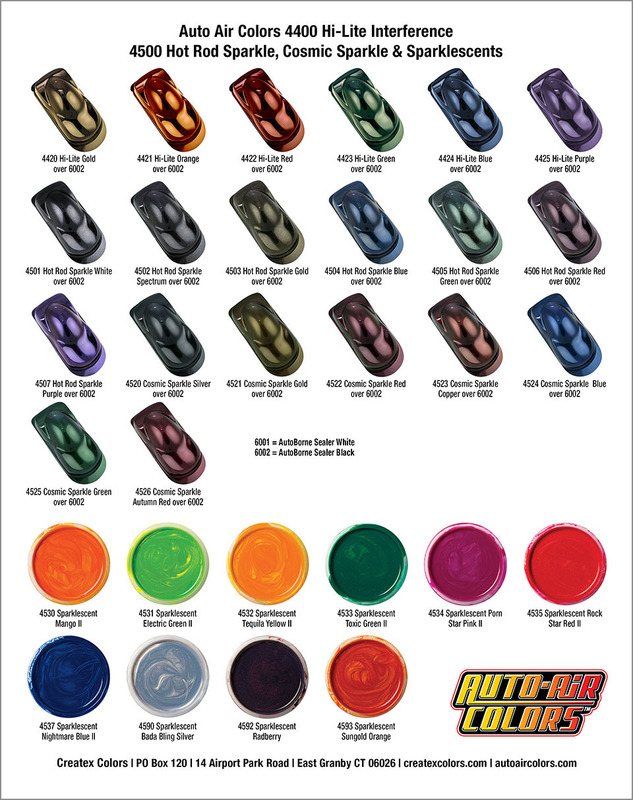 automotive colors. Hot Rod Sparkle White is a universal pearl-flake that is actually transparent and, as such, color-keys with any base color. Hot Rod Sparkle White can simply be applied over any AutoBorne Sealer for a quick, easy yet brilliant pearlized finish or applied as a tri-coat over any color for added pearl-pop. 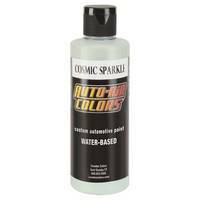 Hot Rod Sparkle & Cosmic Sparkle Colors cover well. A 4oz. bottle is enough for a bike tank and fenders. While more material is applied compared with 4400 Series Hit – Lite accent pearls, Hot Rod & Cosmic Sparkle Colors are not applied to achieve full coverage. Apply as a pearl-coat which allows the base color to be visible; this create dimension in the finish. 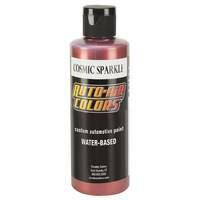 Hot Rod & Cosmic Sparkle Colors are best applied with a spray-gun or large tip-sized airbrush. Refer to Hard Surface Application Guide for further application information.